Barrett Thornhill is a Principal at the McManus Group and advises life sciences companies and provider clients on legislative issues before the U.S. Congress and on regulatory matters before the Centers for Medicare and Medicaid Services (CMS) and Food and Drug Administration (FDA). Barrett’s healthcare focus includes developing thematic and product-specific strategies in the arenas of chronic and infectious diseases, oncology, niche and orphan therapeutics as well as physician-directed business models and market management. 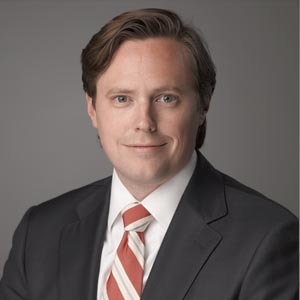 Prior to joining the firm, Barrett was a founding Partner of the East End Group, LLC, where he counseled numerous leading pharmaceutical and biopharmaceutical manufacturers on federal legislation and coverage and reimbursement issues. He also served as a Health Policy Specialist at Foley Hoag, LLP, where he worked on significant policy items including the Patient Protection and Affordable Care Act, the Biologics Price Competition and Innovation Act and the Patent Reform Act. Before joining Foley Hoag, Barrett served as a Director of Federal Government Relations for the Biotechnology Industry Organization (BIO). At BIO, Barrett managed and led lobbying efforts in the U.S. Senate, working particularly among Republican members and staff of the Finance Committee, the Health, Education, Labor and Pensions (HELP) Committee and the Judiciary Committee. He worked extensively on Medicare Parts B and D issues, Medicaid reimbursement issues, reauthorization of the Prescription Drug User Fee program and drug safety legislation, follow-on biologics legislation and patent reform legislation. Barrett has considerable experience on Capitol Hill. He served as a healthcare Legislative Assistant for U.S. Senator Mike Crapo of Idaho in relation to his position on the Finance Committee, Legislative Assistant for then-Representative Patrick Toomey of Pennsylvania, and as a Legislative Assistant for the late Representative Charlie Norwood of Georgia, Vice Chair, Energy and Commerce Subcommittee on Health. He received his BA from Dartmouth College and is licensed attorney with a JD from Georgetown University Law Center.